The newly Max-Q-powered Dell Inspiron 15 7000 Gaming shows lots of promise, what with its modest pricing and capable performance. All things considered, this redesign winds up being more of a downgrade than an upgrade, all while continuing to ignore some criticisms from the past. When we reviewed the previous Inspiron 15 7000 in May, we called it a “steal” with its quad-core chip and GeForce GTX 1050 Ti GPU for $850. Half a year later, we have basically the same laptop, with a marginally better IPS panel and a more powerful GPU, for a hundred more. 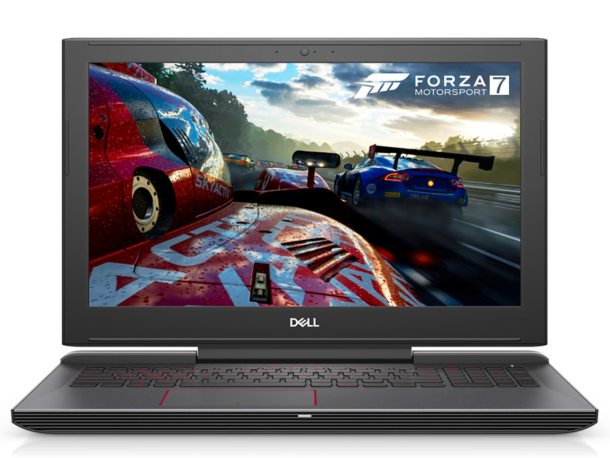 Overall, for south of the four-figure mark, we can’t think of a gaming notebook that offers a better price-to-performance ratio than the Dell Inspiron 7577. Its nice-looking 1080p IPS display, easy end-user serviceability, and availability in two colors sweeten the deal. This is one notebook that is truly hard to go wrong with. The Dell Inspiron 15 7000 is a long-lasting laptop that's affordable for a gaming notebook, but its display needs work and its keyboard is uncomfortable. Positive: Impressive design; metal case; good price; powerful hardware; high gaming performance; nice display; good connectivity. Negative: Heavy. Positive: Solid workmanship; good connectivity; nice display; high autonomy. Negative: Relatively heavy; uncomfortable keyboard. 78.37%: This rating is not convincing. The laptop is evaluated below average, this is not really a recommendation for purchase.